A SUSPECTED serial Mutare con-artist who allegedly divided Zanu PF bigwigs and several senior government officials by spreading falsehoods, on Friday appeared in court facing seven counts of forgery and fraud charges respectivelly. Peter Zvoutete (35) who appeared before Mutare magistrate Poterai Gwezhira on Friday pleaded guilty to the charges and will be sentenced tomorrow. Public prosecutor Walter Saunyama told the court in the first count that Dangamvura/Chikanga legislator Esau Mupfumi (Zanu PF) is the complainant. It is alleged on February 18 the accused created a blank sheet of paper that bore the letterhead of City of Mutare and name, signature and designation of Mayor Tatenda Nhamarare. 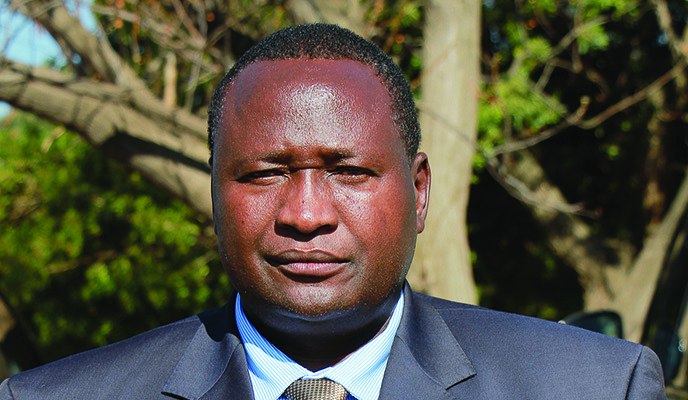 Zvoutete then superimposed the contents of a letter he had written to Local Government, Public Works and National Housing minister Saviour Kasukuwere on the forged letterhead. In the letter, the accused raised a complaint against Esau Mupfumi for allegedly interfering with the City of Mutare business. According to the State he purported that Nhamarare had written or authorised the writing of the complaint. The accused handed the forged letter to Mupfumi on a date unknown to the prosecutor but sometime in February, 2016. The matter came to light when Mupfumi on a date unknown queried the contents of the letter and approached Nhamarare for clarity. Nhamarare distanced himself from the document. In the second count, Zvoutete in February again tricked Mupfumi that Nhamarare had written another letter of complaint to Kasukuwere about his alleged interference. The accused superimposed the contents of a letter he had authored to ZACC chairperson, Job Whabira advising him of a complaint against Mupfumi for allegedly interfering with the operations of Mutare City council, thereby purporting to be Pondo. The matter came to light on September 12, 2016 when the complainant was informed of a similar letter which the Manicaland Provincial Affairs minister Mandi Chimene had received from the same person. He was arrested last week and admitted to authoring the letters after photocopying the signatures and letterhead of Pondo and ZACC. Mupfumi is also the complainant in count four after the accused through the same modus operandi used another forged ZACC letter accusing the businessman of failing to settle his debts. Chimene was the victim in count five. It is the State's case that on August 4, 2016, Zvoutete created another blank sheet of paper that bore the letterhead of ZACC and signature of Pondo. The accused, purporting to be Pondo, superimposed the contents of a letter he had written to Whabira advising him of Chimene's alleged abuse of office. The matter came to light sometime in September when Chimene contacted Pondo who distanced himself from the letter. Zvoutete used the same modus operandi in count six where Chimene is the complainant. The State is the complainant in the last matter. The State argues that on September 14, the accused was arrested for forging documents involving Mutare City Council and ZACC. The accused led the detectives to 17 Mopani Road, Morningside in Mutare where letterheads of provincial medical director, Zanu PF and office of resident minister were recovered.